Entertaining musical Christmas crackers for all the family. 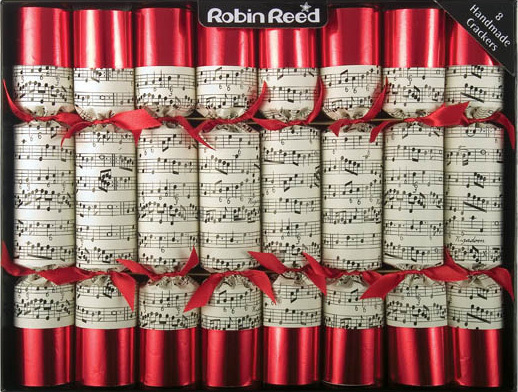 The “Concerto Music” crackers are decorated with a sheet music print on glossy, high-quality paper, finished with red satin ends and red ribbon. Each cracker contains a snap, joke, party hat, different musical whistle and a different numbered badge for everyone to wear to create your own band. 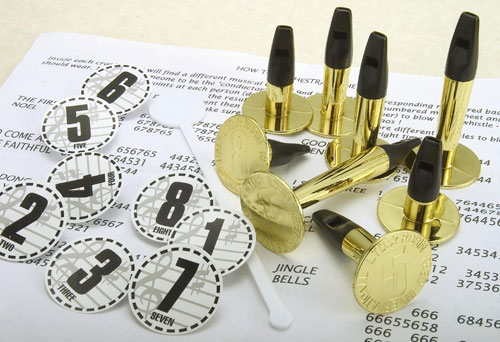 The "conductor" follows the simple numbered music included to play both everyday and Christmas tunes. An unforgettable occasion with fun and music!